The Attic online platform joins the artistic residency program InContext in Slănic Moldova with a festival that connects Indian musical heritage with the present natural and local context, from an ethnomusicological and ecological perspective. 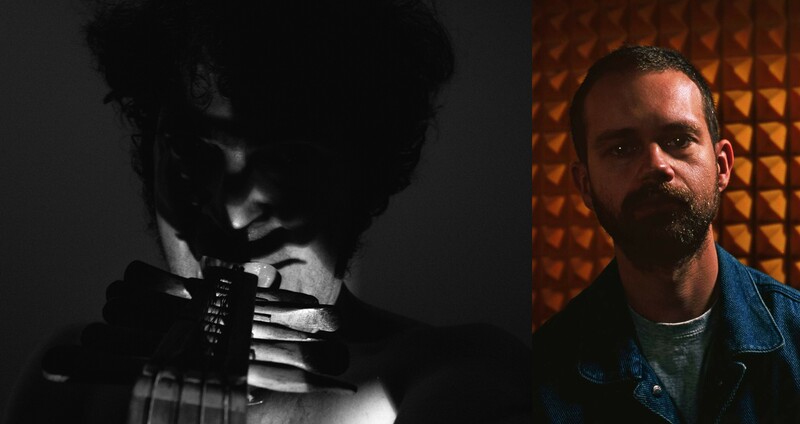 The Attic residency will be creating a musical ensemble formed of contemporary Romanian and Western musicians. For four days between June 21-24, the musicians will experience interculturality from a sonic perspective, as well as the metabolic interaction between man and nature. They will explore various approaches of Indian music, classic as well as contemporary, while experimenting with several instruments. The residency space will become a resource for dialogue and fusion in itself, the process culminating with a concert at the Târgu Ocna salt mine, preceded by 3 improv acts by different artists. Another essential component of the residency is a series of open-air and indoor concerts performed by Romanian and foreign artists, spanning over 3 days at various landmarks in Slănic, accompanied by performances, DJ sets and workshops with the youth of Slănic area, examining the relationship between sound, nature and humanity’s footprint on this planet. The residency seeks to create an environment favorable to the intercultural processes that take place in the global world of the Anthropocene. Man and his actions have become a transforming agent in the geological processes, in climatic changes and ecosystems. Music is able to generate a sensorial space for testing, perceiving and understanding these transformations. 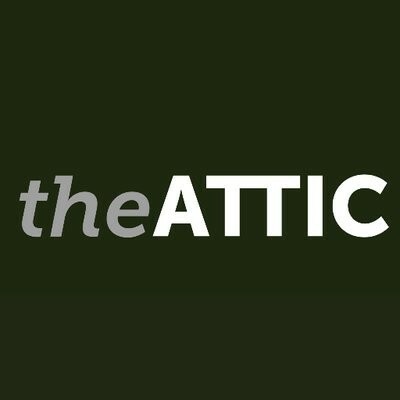 The Attic is an online music magazine and a platform of analysis, study and representation, which focuses on a wide variety of music genres and investigates different cultures from all around the world. The website narrates empirical listening experiences from different collaborators, through reports, features and interviews with various artists, composers and ensembles, music reviews and audio podcasts. The music approach has no typical boundaries of genre, style, time or space, but admits its importance and relevance. We question everything and try to pursuit the essence of what we believe is good, timeless and continues to resonate regardless of its date. We have nomad offices in different parts of the world with permanent bases in Bucharest, Romania (editorial/events) and Oslo, Norway (technical/editorial). 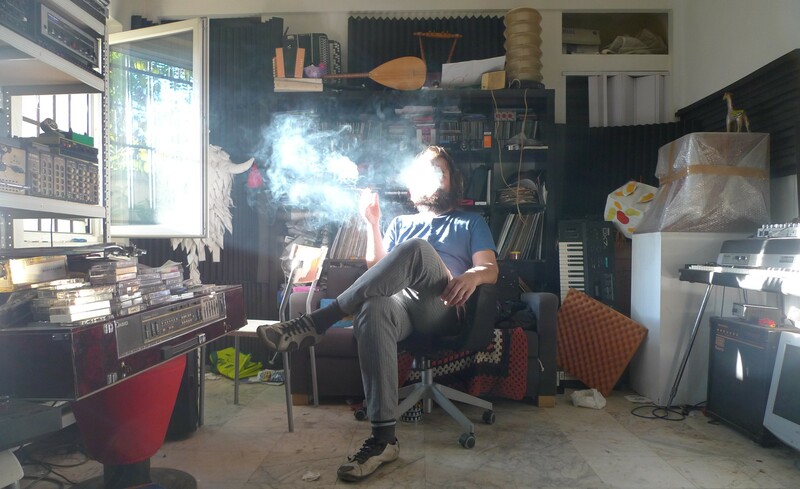 Australopitecus Oltensis is a low-mystical project from Future Nuggets’ roster. An unpolished character dealing strictly with pre-sync analog tools, electricity and the ancestral delay of Oltenia fossils. A hominid concerned with primitive techno, unsophisticated dub melancholia and cave reverb. Kasinadhuni Avadhut is a young musician studying violin at the National Music University Bucharest. He also mastered tabla playing, under the guidance of Guru Kamal Kant. Anne-Marie Ene is a graduate of the Musical Interpretation Faculty (violin section), from the National Music University Bucharest (1995), of Trinity College London and Gandharva Mahavidyalaya, New Delhi. She has been active as a concertmaster at Delhi Symphony Orchestra (2002 – 2003) and a professor at British School New Delhi (2001-2006). She performed concerts in Romania, Bulgaria, India, France, Germany and Serbia. She is currently part of the Radio Chamber Orchestra where she frequently performs as concertmaster, as well as a collaborator of “George Enescu” Philharmonic Orchestra. 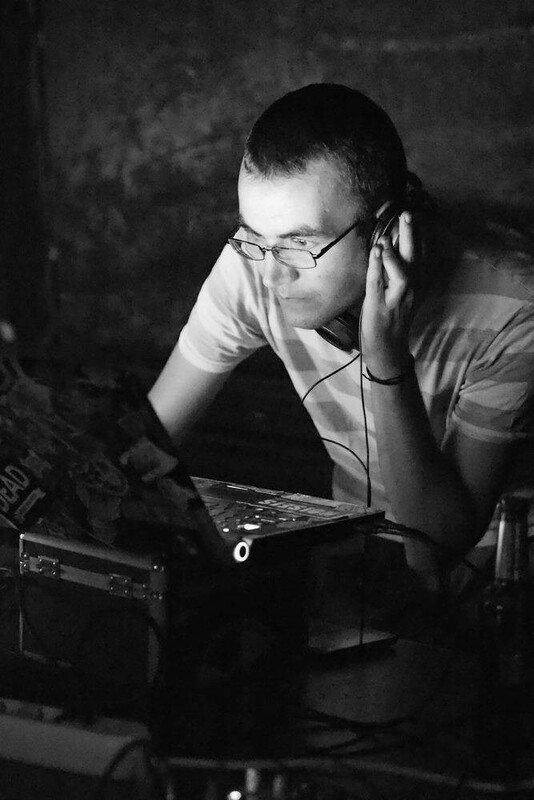 Bogman started off in the early 90s by getting involved in Romanian Hip Hop events and hosting a show on Radio Nova 22, the FM institution that shaped the music underground after the 1989 revolution. 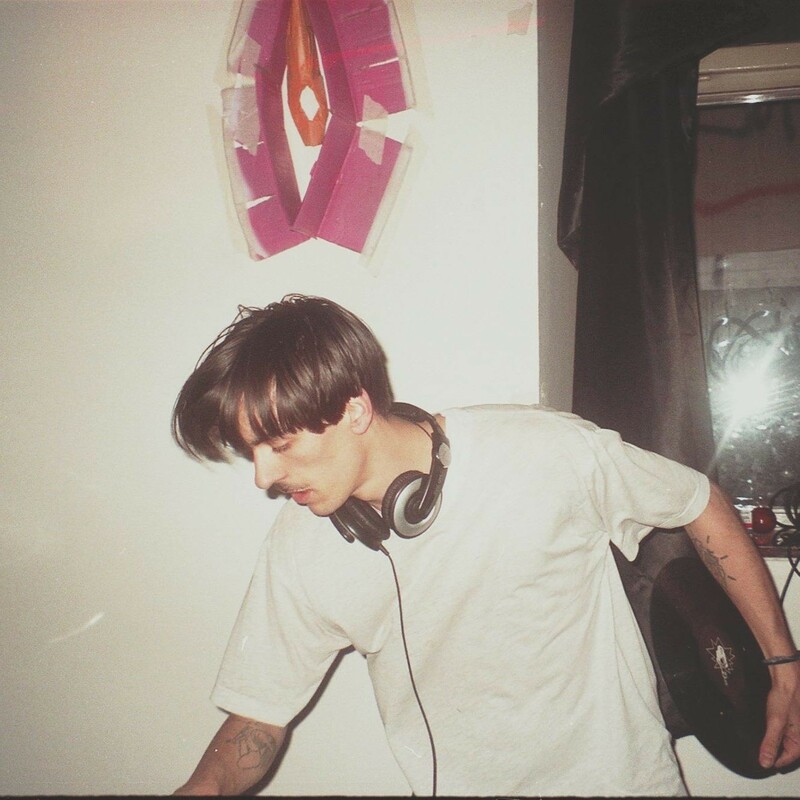 Collaborating with DJ Vasile, he later introduced a series of events at social hub Laborator, which turned the former gaming house in what became the legendary club The Web. In 2001, Bogman moved to New York, where he spent the next 7 years digging into the city’s rarest record archives, earning residencies at Apt and Nublu and managing Turntable Lab store. Back to Bucharest, he started the parties Fantastic Boogie, Camera Sambo and Boulangerie, he’s a DJ and currently one of the booking strategists for Control Club and Apollo111, as well as working daytime as a chef. Mihaela Vasiliu is a visual artist and DJ from Bucharest, part of the Queer Nights family. Her musical selection varies from electro to disco and minimal, techno and beyond. Having a visual arts background, Chlorys approaches music with an interdisciplinary wit, caring for its social-political context just as much. She is a founding member of Corp. crew, a platform of women and female identified artists from Bucharest which promotes women in electronic music locally, while connecting the dots with other international artists and crews. Von Bulowe, aka Cosima Opârtan, worked as an architect, and she currently is involved with art groups specialized in music and performance. She began her musical career as half of music duo Raze de Soare, a band focused on exploring the outernational, minimal sound of Restaurant Music from the 80s/ 90s. She is interested in working with the image or surface of things as they appear, as a subversive way of raising questions. She is a founding member of Corp. platform, as well as the party series Queer Night. 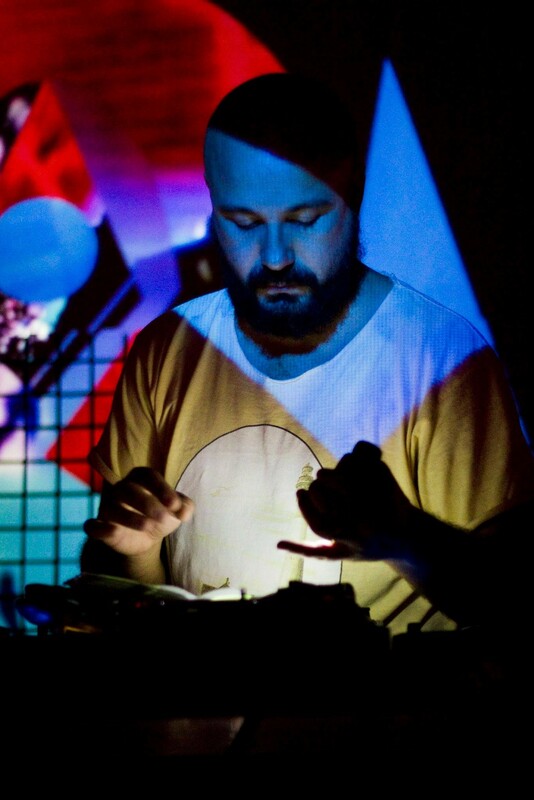 Marius Houschyar is a young visual artist from Dresden, a producer and DJ of experimental electronic music in the area of ebm, electro, kraut; present at festivals and clubs from all over Europe, like Camp Cosmic from Germany. 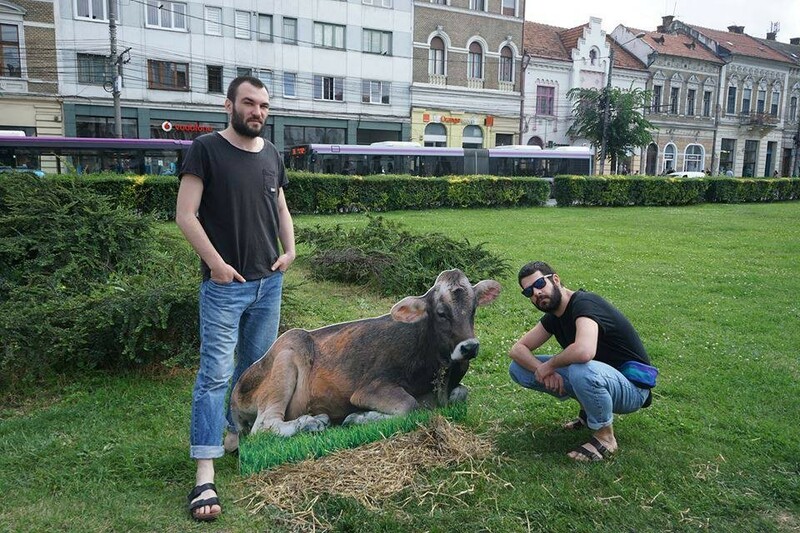 Megan Dominey and Alexandru Grigore, both 3rd year students at UNARTE, are artists based in Bucharest. They are the owners and organizers of the Moxa 20 studio/gallery space and their work ranges from serigrafie, painting, publishing, photography and beyond. 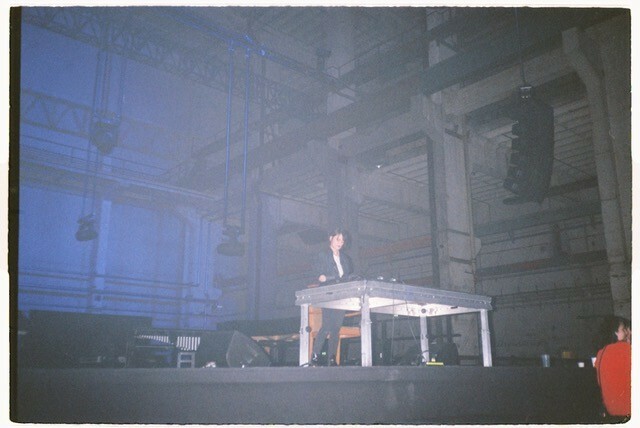 Melanie Velarde is a Berlin based artist with a history in experimental music and contemporary art, which she uses as a medium to explore her passion for field recordings. She fathoms melancholic states and their physical fragments, employing different forms of media. RVNG Intl, the label that released her debut album, Parcel, notes that Velarde’s archiving practices evoke the solitary spaces where collections of transcendental objects are suspended. M. Micleusanu is a multidisciplinary artist: writer, musician, illustrator and visual artist; he published short stories (Organismemecanice), novels (Tuba Mirum, Kasa Poporului), graphic novels (Amokalipsis) and developed leftfield musical projects such as Planeta Moldova, Antishow, Farmacie & Pompe Funebre, Zelda, Febre39, Pneumaton (idm noir, experimental). 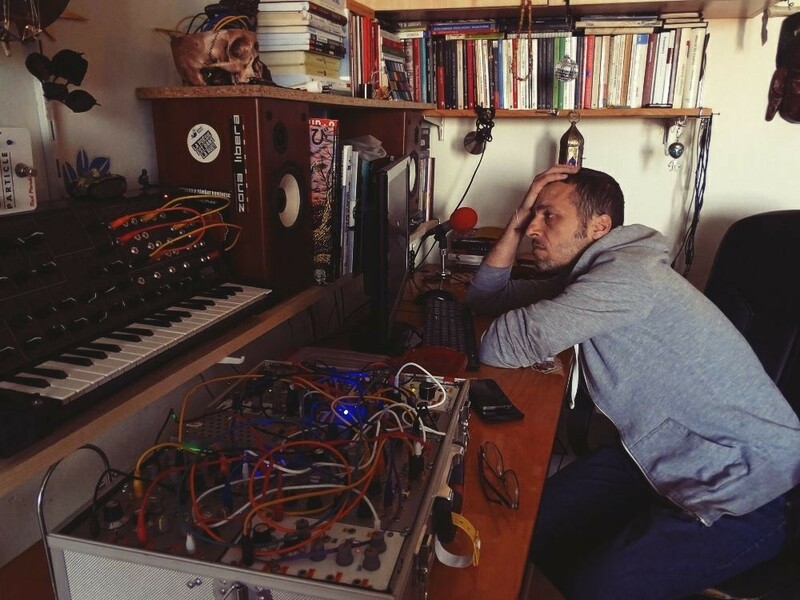 Journalist, writer and experimental musician, Miron performs and creates as a member of the experimental noise duo Nava Spatiala. 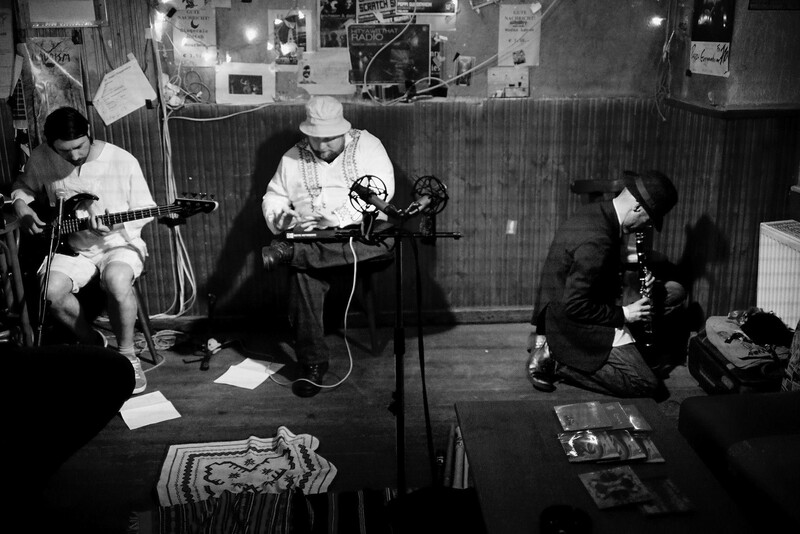 The acoustic journey which he guides the listeners through contains field recordings, traditional instruments, Romanian experimental music samples and sonic ephemeral objects. 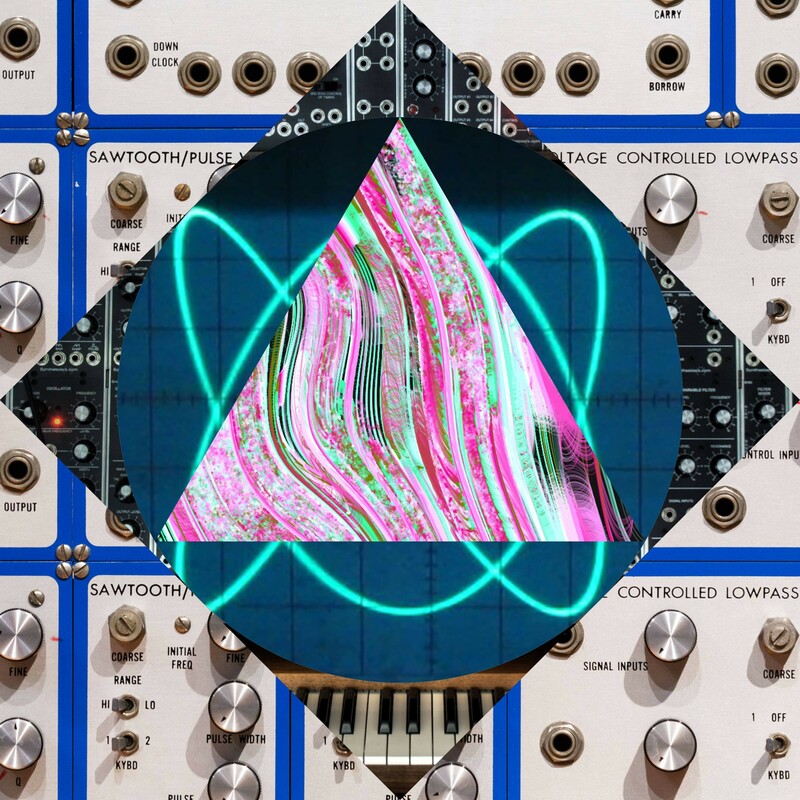 Multumult pitches the exclusive practice of free improvised music, and the creation of a group where artists and improvisers can meet and manifest. This explains the changing avatars of the band members, switching from acoustic to electronics, converging in duos, trios or quartets. Călin Torsan (wind instruments), Marius Achim (percussion) Vasile Gherghel (acoustic mise en scene). A group of anthropologists and sound merchants, activating for some years on the Bucharest music scene either at own organized parties in oddball locations (The Astronomical Observatory, Ponton dock club in Carol Park), either as residents of Control Club. Interested in the peripheral local and international genres and the connections they have created more or less accidentally in history, PARADAIS SNDSSTM project is this time accessing an essential source for the Romanian party music of the '90, the Bollywood of the '60s-’70s. Saşa-Liviu Stoianovici includes in his artistic practice various media - sound, video, food, traditional musical instruments, animal elements. His installations become interference points between peasant archaic objects and new technologies. He collects folklore and searches for endangered traditional music and crafts. He mixes mamaliga and sounds in a continuous search for the meanings of everyday gestures, banalized for generations. Artistic concerts and performances on the Avantgarde Festival Schiphorst Festival, Balkanik Festival, he also exhibited at exhibitions such as In The Light of Utopia, 2011, ICR London, The Absurd in Visual Arts - Homage to Eugen Ionescu, ICR Budapest, 2009. Founder of Nu & APA NEAGRA and BALKAN TAKSIM. Dan Michiu is an young illustrator, tape collector and experimental musician involved in a series of music projects such as Fake Bantame, Abator Industries, Loungerie. Initially created by Sillyconductor for his daughter’s kindergarten, the SGOMOT workshop is now available for kids 4-12 who either want to freely explore the power of small noise-making devices or for the ones who just want to witness the level of magic that’s powered by a 5 volt electrical source. 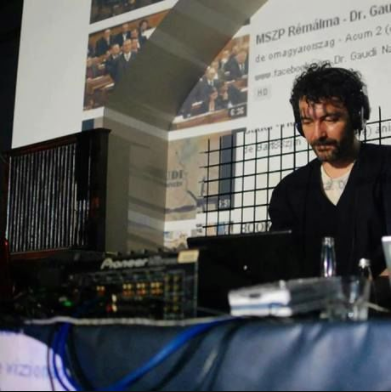 Sillyconductor is one of the monikers of Catalin Matei, a Romanian sound artist living in Bucharest. Sillyconductor’s main focus has always been on classical music and its relationship with hazzard or mathematics: projects such as Ventichitara (a self­made improvisation instrument built out of USB fans), 100 Catronomes (a golden remake of Ligeti’s Poeme Symphonique employing 100 Maneki­ Neko cats) or the Pianosaurus (a post-modern mechanical piano) explore the overlapping areas between technology, classical music and humour. Sneha Khanwalker is one of the most versatile film music composers in Bollywood. His most acclaimed work is the OST to the Bollywood film Oye Lucky! Lucky Oye!. 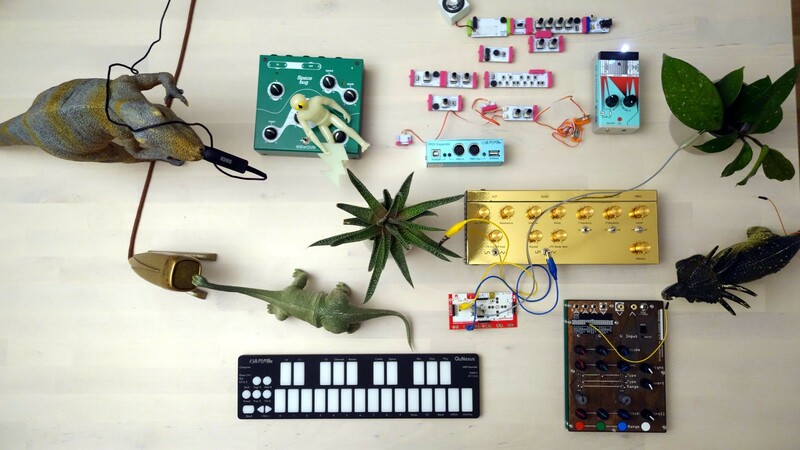 Besides traditional and electronic instruments, Sneha adds up a number of abstract components in order to reach a contemporary sound, which describes the internalized music of space. Also known as the host of a documentary mini-series for MTV, Sound Trippin, which focused on exploring local sounds from various parts of India, inviting local musicians to create authentic sound. Somnoroase Păsărele, the sonic architecture project of visual artist Gili Mocanu, eludes the restrictive character of categorizing music based on genres. Beyond techno, post-punk and experimental electronics and none of the above, Gili doesn’t aspire to understanding music through these boxes. His first albums were launched on the label Baba Vanga. 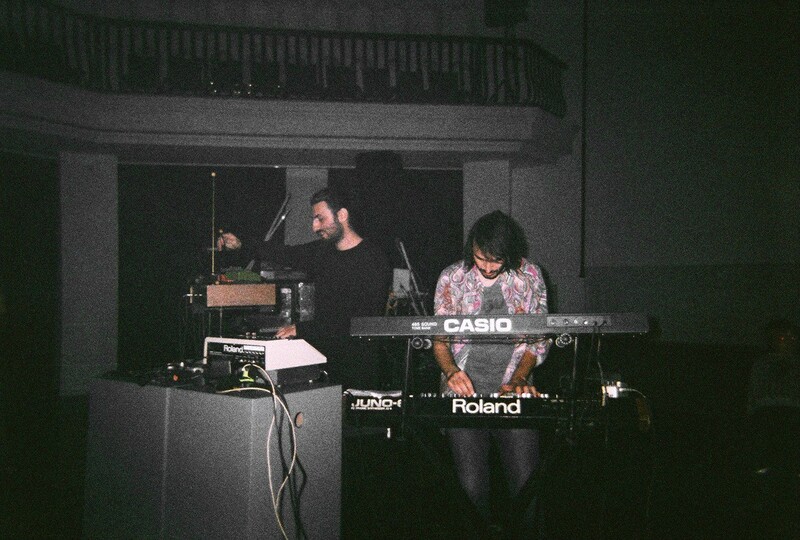 Somnoroase Păsărele has performed on experimental music festivals in Romania and Europe. Fraunberger has performed at festivals throughout the world and released on various labels. He is focusing on sonic embodiment and the shaping of fluid sculptures. His compositions and performances work their way through “nature's very own modular patch” using otherworldly dialects to result in possible tongues of pre-modern-futures. Based in Vienna, Fraunberger has lived and worked in Aleppo, Sana'a, London, Tehran, Sibiu, Benares, Brussels and Istanbul. His work is deeply informed by the study of different languages, traditions, and understandings of modernity. 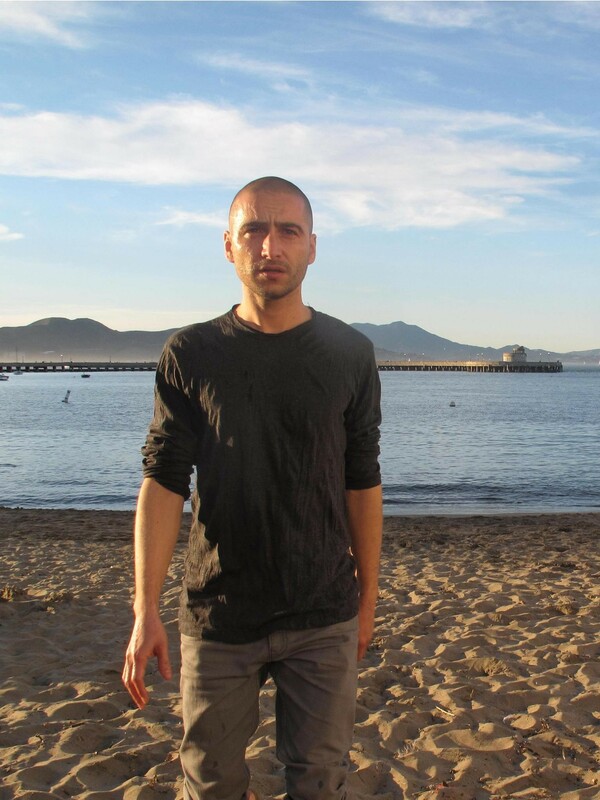 Working in the fields of performative sound art, vocal and instrumental composition he also does sound installations and translates/interprets non-idiomatic sufi poetry in theory and practice as well as creating soundtracks for movies and contemporary dance. Bogdana Dima, Calin Torsan Diana Miron, Laurentiu Cotac, Sian Brie - musicians part of Iancu Dumitrescu's Hyperion Ensemble International, PFA Orchestra, Multumult, And Then This, Her Voice and other local and international electro acoustic improv/free jazz musical projects that performed at major festivals and events in both Romania and Europe like Saptamana Sunetului or CTM Berlin. Made up of two anthropologists and members of The Attic editorial team, Stimmung is a project of sonic exploration which combines more music genres: ambient, experimental, industrial, drone, etc. Their bet is to transform the listening in a ritualistic experience. A collective of DJs, journalists, anthropologists, artists, directors and actors which form the core editorial crew of the online magazine The Attic, as well as the team which organizes the multicultural music festival Outernational Days.